Whether you gift them to loved ones or use them at home, these image transfer coasters are just as useful as they are cute! 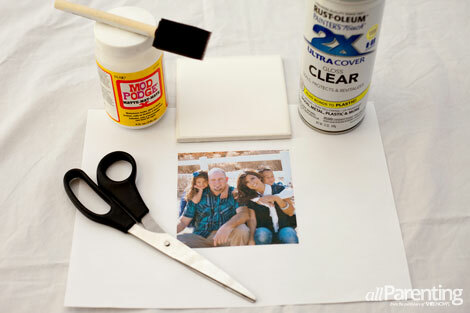 Using your printer, decoupage gel like Mod Podge, acrylic spray and low-cost ceramic tiles, you can capture the moment and save your coffee table at the same time when you learn how to make a photo coaster. Add a layer of decoupage gel to the front of your ceramic tile and allow to dry — it should only take a couple of minutes. Repeat with a second coat over your first coat in the opposite direction and allow to dry completely. 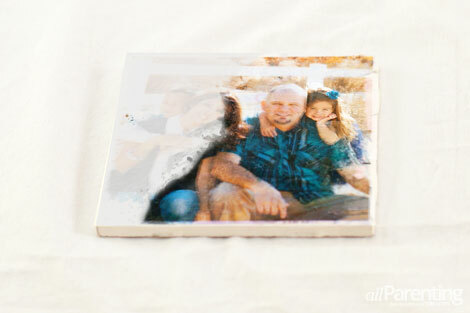 While your second coat is drying, print a copy of your favorite Instagram photo from your computer and cut it to fit your ceramic tile. For a more vintage look, rough tear your image instead of using scissors. 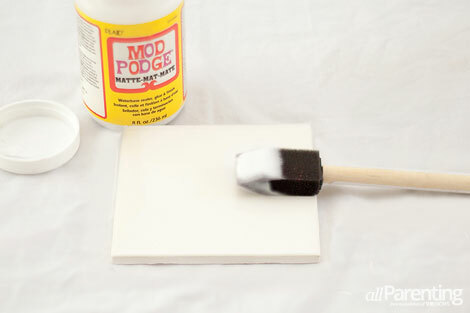 When the first two coats of Mod Podge have dried, add a third coat of decoupage gel over the second coat and place your printout face down onto your tile while the Mod Podge is still wet. Use a stiff card or credit card to smooth out the bubbles from your paper, pushing from the center outwards. Allow to set for at least 30 minutes to allow it to dry. 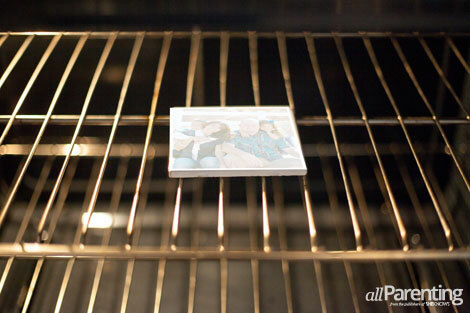 Heat your oven to 170 degrees F and bake your Instagram printout-topped tile for 20 minutes. Remove from oven and allow to cool about 20 minutes or so. Once cooled, wet your fingers and moisten the paper on your DIY coaster until your image shows through slightly. Then, begin to gently rub the paper until it begins to peel from your tile coaster, leaving a transferred image of your Instagram photo on the ceramic tile. 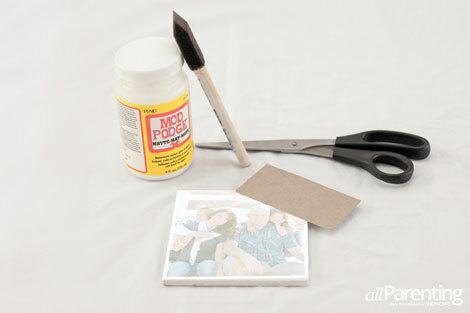 Keep in mind that the more you rub, the more pieces of your photo will go missing to give your photo coaster a vintage look. 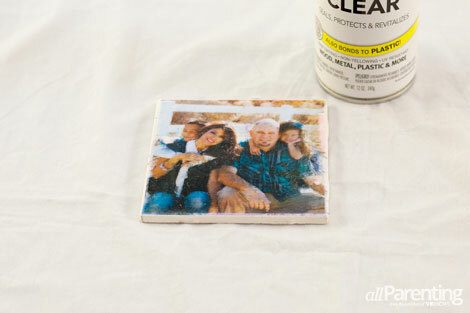 After your tile coaster has had about 30 minutes to dry, take it outside and spray a coat of clear acrylic spray to the front of your image. Wait 15 minutes and add a second coat and follow the drying recommendations provided on your acrylic spray. 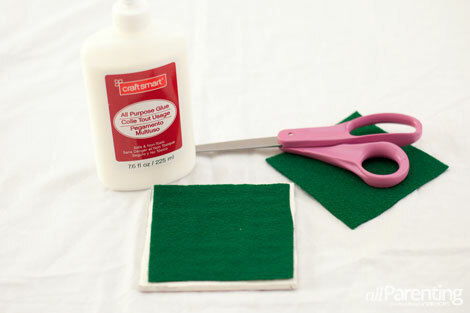 Finally, cut a piece of felt to fit the backside of your tile coaster and adhere with glue. 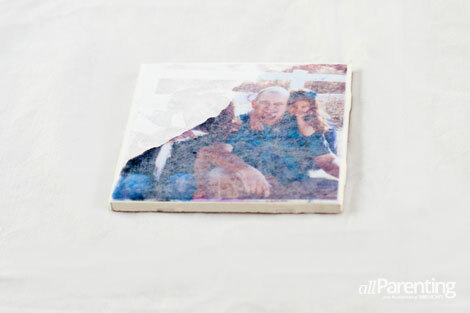 Once it is dried, your DIY photo coaster is ready to dress up your tabletop at a moment's notice! But, you don't have to stop with photos now that you know how to make a photo coaster. Printouts of maps or your favorite designs also make adorable additions to your tile coaster collection!